Are you maximising your business’ LinkedIn profile? For the majority of businesses, particularly those operating at a B2B level, LinkedIn can provide an effective platform to reach your target audience, as well as build a strong network of contacts. Our social media experts here at Entyce would always recommend that any LinkedIn marketing strategy combines activity on a personal profile as well as a business profile. Many of our clients have come to us, having struggled to gain traction on their business profile. Whilst it can be tricky to gain a strong following and engagement on a profile that could be considered less ‘personable’, there are number of tricks that you can follow to maximise its effectiveness. First and foremost, you should ensure that your business profile is branded by adding your logo as a profile image, and an eye-catching header that is in-keeping with your brand aesthetic. More recently, LinkedIn has introduced a ‘tagline’ option that will also provide a very brief description of your business, as well as a call to action button that could lead users to your website, a shop page, a newsletter sign-up and more. In composing this section, including target keywords will be a great way to ensure your profile’s content is picked up by LinkedIn’s search function. It goes without saying that posting regularly will ultimately ensure your brand is seen by more people. We wouldn’t recommend posting quite as regularly as other social platforms such as Twitter, but at a minimum one or two posts a week will ensure your brand is seen on a consistent basis. In order to build a strong following engagement is essential, as this will ultimately allow your posts to be seen by LinkedIn members outside of your current followers. 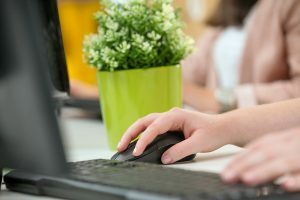 Encouraging your employees to engage with posts, sharing, liking and commenting is an effective way to do this, particularly for employees with a strong following themselves. 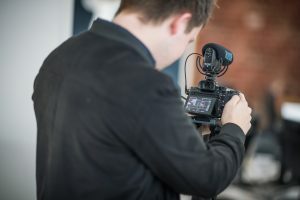 Videos are an amazing tool when it comes to any marketing strategy, but particularly for social media marketing, research has found that social media posts that us video, gain 48% more views that a regular text post. Do you want to maximise your business’ LinkedIn profile? 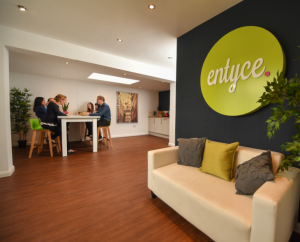 Find out more about Entyce’s social media marketing services or contact our team today to discuss.